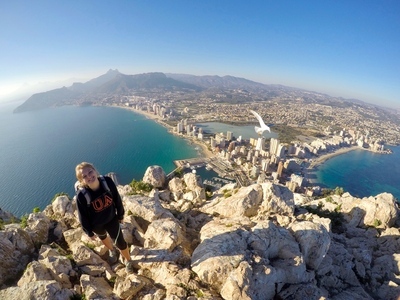 Bird's Eye View, taken by Jordan Hitchcock on independent travel to Calpe, Spain while participating in the Linfield College Year Abroad Program in Alicante, Spain. 2nd place, Linfield Students Abroad division, in the 2018 Linfield College Study Abroad Photo Contest. For more information, visit the International Programs Year Abroad website. Hitchcock, Jordan, "Bird's Eye View" (2017). 2018 Photo Contest Winners. Image. Submission 14.